The exhibition, which was held under the patronage of His Highness Sheikh Hamdan bin Zayed Al Nahyan, Ruler’s Representative in Al Dhafra Region and Chairman of the Emirates Falconers’ Club, received His Highness Sheikh Mohammed bin Zayed Al Nahyan, Crown Prince of Abu Dhabi and Deputy Supreme Commander of the UAE Armed Forces, His Highness Sheikh Humaid bin Rashid Al Nuaimi, Supreme Council Member and Ruler of Ajman, His Highness Sheikh Hamad bin Mohammed Al Sharqi, Supreme Council Member and Ruler of Fujairah, His Highness Sheikh Hamdan bin Zayed Al Nahyan, Ruler’s Representative in Al Dhafra Region and Chairman of the Emirates Falconers’ Club, His Highness Lt. General Sheikh Saif bin Zayed Al Nahyan, Deputy Prime Minister and Minister of the Interior, in addition to a number of Sheikhs, dignitaries and representatives of the diplomatic corps in the country. 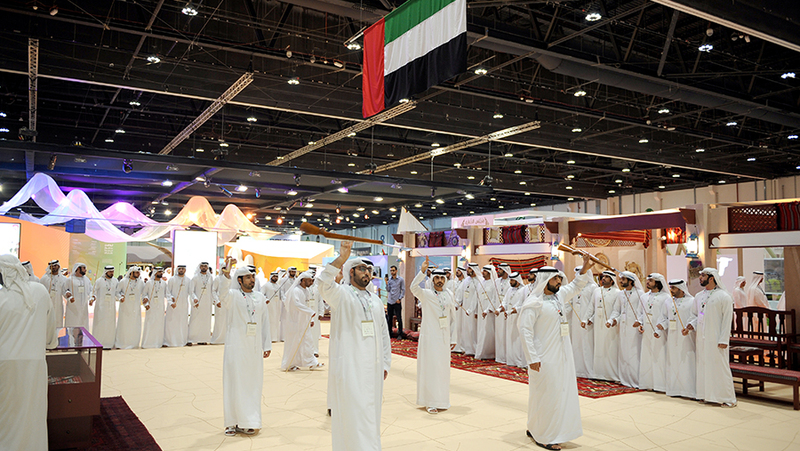 The exhibition’s sections attracted a large audience, especially the stands of official institutions and heritage authorities, where visitors were given the opportunity to recall the past and heritage of the UAE through their collectibles and paintings, as well as traditional instruments used in ancient hunting trips. Visitors to these stands expressed their admiration for the exhibits they saw, noting the great development of the exhibition as well as the improved quality year after year. Many of the companies participating in the exhibition affirmed the importance of this exhibition in terms of the number of exhibitors and the diversity of companies that offer a wide range of hunting and equestrian accessories. A number of owners of arms companies and falconers achieved high sales ratios, explaining that organizing the exhibition before the start of the hunting season in the region played an important role in raising the proportion of sales. 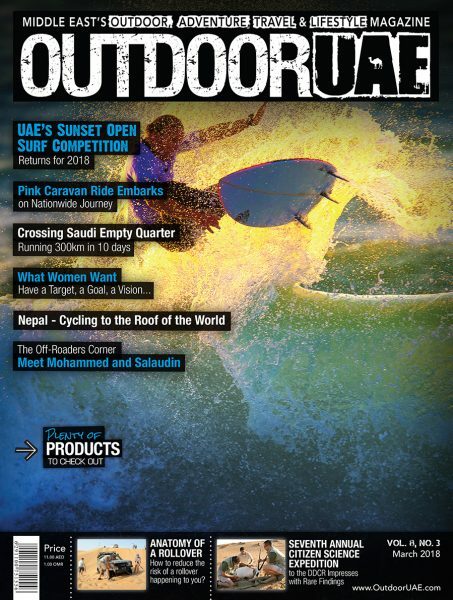 His Excellency Majid Ali Al Mansouri, Chairman of the Higher Organising Committee of ADIHEX and Secretary General of the Emirates Falconers’ Club said, “The current edition has achieved great success. 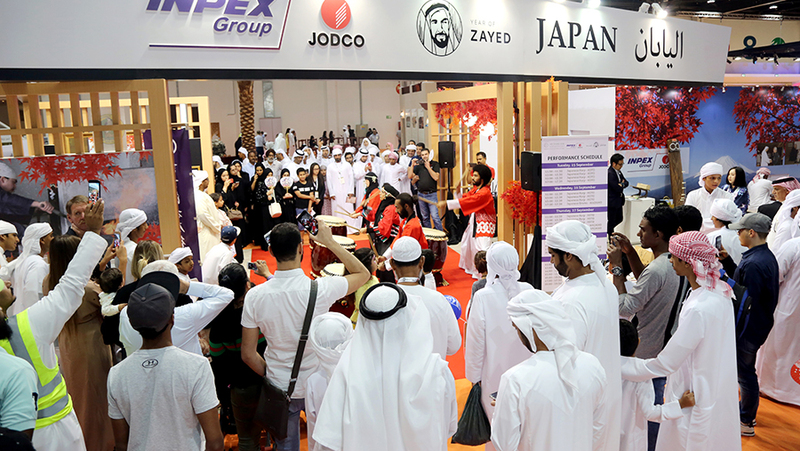 More than 650 companies, brands and exhibitors from 40 countries participated in an area of 40,000 square meters. The UAE was represented by 201 companies and the exhibition was attended by 110,103 visitors throughout its duration and sales at ADIHEX were more than 50 million Dirhams. His Excellency Al Mansouri pointed out that the exhibition was able to bring together the major local, Arab and international companies in the field of outdoor sports, trips, weapons industries, traditional industries, craftsmanship, environmental protection and heritage in one location to share knowledge and experience and conduct commercial agreements that will benefit all parties involved. He also affirmed that ADIHEX has contributed to raising the awareness of protecting the environment and heritage, which are keen activities of the leadership of the state as well as the organisers, sponsors and supporters of the exhibition who all have contributed to its continuity. 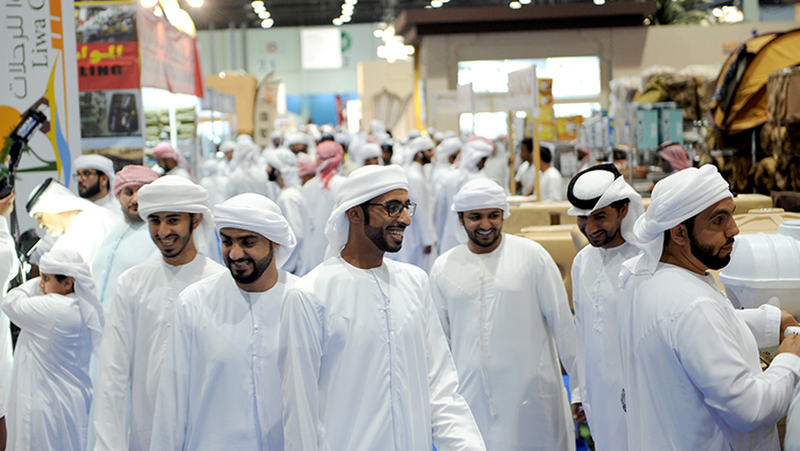 This year’s exhibition witnessed economic, cultural, heritage and sports activities, ranging from shows, competitions and training workshops to traditional arts, products, handicrafts, cultural and entertainment activities for children, and the completion of works on the late Sheikh Zayed’s role in preserving and protecting nature, competitions of Arabian Saluki beauty, falcon beauty and photography as well as live shows such as horses, K9 dogs, birds and falcons. There were also archery activities, shooting sport simulator, paint ball, auctions for camels and a silent online auction. This is in addition to the art exhibitions, photo galleries, falconry, heritage activities and the Kids Knowledge Area where knowledge and entertainment is combined in an original and attractive form. All these words reflect how the late Sheikh Zayed, after all these years of absence, is still alive, beating in the hearts of those who loved him and how the people express their loyalty to the late Sheikh Zayed who dedicated his life to his people, and who harvested love in everyone’s memory. The first thing that attracted attention is the desire of young people who have experienced the late Sheikh Zayed as children to write as if they want to emphasize that they carry the fingerprint of Zayed and that the title of ‘Sons of Zayed’ is not from a vacuum. Some bloggers have painted the image of the late Sheikh Zayed on the wall accompanied by poetry that glorifies the UAE and its Sheikhs. This edition of ADIHEX also had the ‘First Falconers Photo Gallery’ which contains more than 3800 photographs of the late Sheikh Zayed during his falconry hunting trips in the UAE in different places such as Bainuna and Al Falah as well as during his hunting trips abroad in Morocco and Pakistan. The photographs were taken between 1976 and 2004 with the lens of his personal photographer Mohamed Khalidi. In a number of pictures appearing alongside the late Sheikh Zayed are some of the Sheikhs, Rulers and Arab Princes. The exhibition also includes a number of photographs taken of the late Sheikh Zayed during the World Conference of Falconry, as well as some photos of him with horses. Visitors to ADIHEX came to see the photos, especially that some of them are very clear despite being taken in the desert and a very long time ago. There was wide participation of GCC nationals and companies interested in traditional heritage activities which reflects the depth of the brotherly relations between the Gulf countries. Gulf companies expressed their deep satisfaction with the support and care provided by the Organising Committee of the exhibition, which contributes to the efforts of the Gulf countries to preserve the sports of their parents and grandparents, support scientific and research efforts in this field, implement awareness programmes for falconers and deepen the concept of sustainable hunting. 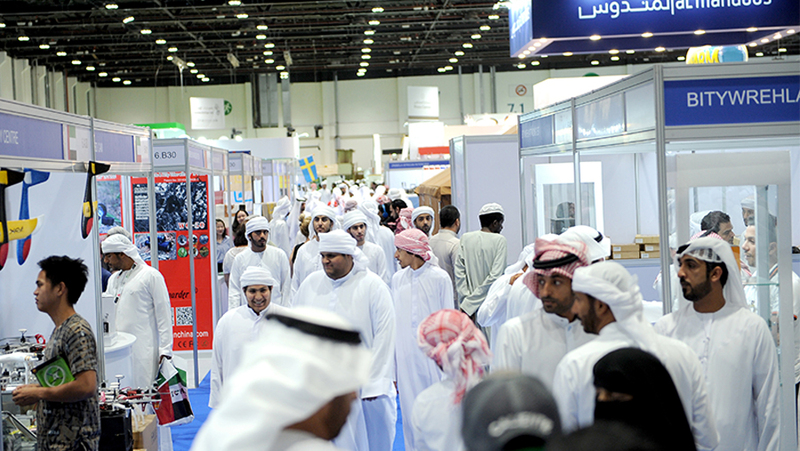 The exhibition included a group of leading Gulf companies in the world of hunting and equestrian. As an example Kashtaa Company which is a company specialized in the supplies of trips and hunting such as mattresses, sleeping bags, car processing, tents, coffee and tea bags known as Al Azab. This is the sixteenth participation of the company, as it has not missed one edition of the exhibition since its inception. The company is proud to have received at the first edition of the exhibition a visit to its stand by the late Sheikh Zayed and they stated that the turnout of visitors and consumers for their products has been growing continuously since the first edition of the exhibition. The company is proud of the high demand on the exhibition this year, which confirms the love of the Gulf people to hunting and trips, and it promises a distinctive hunting season as the hunting market is a seasonal market and is always witnessing an expansion in sales from year to year. Also at ADIHEX was Mqnas Al Badyah from Saudi Arabia which specializes in travel supplies from tents, mattresses, pots, processing of cars with water tanks and bird mattresses in the cars’ trunk. The company is participating in the exhibition for the sixth time in a row. The owner, Mubarak Al-Qahtani believes that the exhibition is a valuable opportunity to meet customers and identify companies working in the same field. His company is the exclusive agent in the Middle East of an American company and all the products are of international quality. Also from Kuwait is Rammai for Hunting Weapons and Ammunitions Co which is specialized in the import of all types of weapons, ammunition, flight equipment, hunting equipment and accessories for falconry sport. The company is associated with the world’s largest manufacturers of weapons in terms of quality and high technology. Bitywrehla, the Saudi company was participating in ADIHEX 2018 for the fifth time and exhibited a new and distinguished range of products for those interested in hunting and trips. 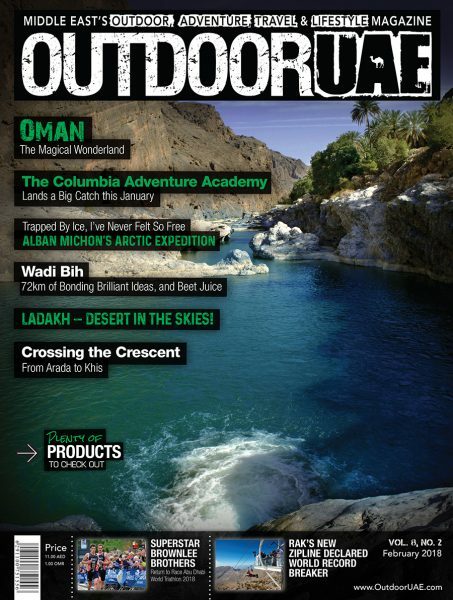 The participation of Bitywrehla stores meets the expectations of visitors interested in hunting and equestrian equipment, and it is the exclusive distributor of the famous Phoenix lights and it has gained a reputation for providing outdoor travel equipment, searchlights, hunting knives, care devices, batteries and chargers in the Gulf, Middle East and North Africa. This year from Kuwait, ABD CAM, a falcon training company with drone aircraft, took part for the fourth time in a row in ADIHEX. The company exhibited in its stand various models of self-piloted aircraft. The owner of the company, Abdullah Al-Sulili said that one of the aircraft produced by the company was designed specifically for ADIHEX 2018 and was named ‘Year of Zayed.’ Also there was another aircraft named ‘Abu Dhabi’ which was produced for the last edition in 2017. 31 government entities attended ADIHEX this year reflecting the official interest in the sectors covered by the exhibition. The Abu Dhabi Department of Culture and Tourism took part in the exhibition and it is known for its support of the rich heritage of art and folklore in the UAE, which are treasures that the department works to preserve, develop and make available to future generations. 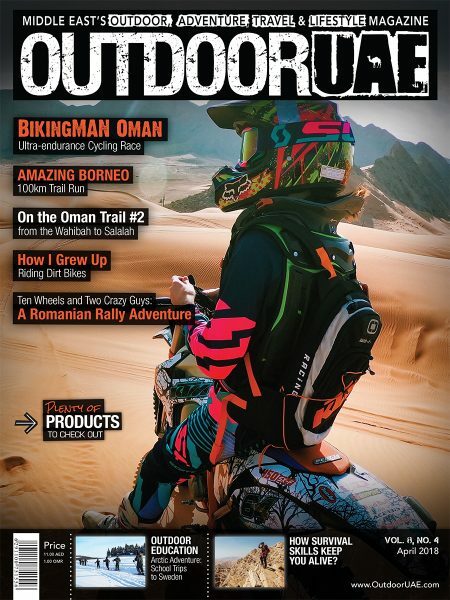 The department has been keen to provide quality publications in several languages, promoting the Emirate of Abu Dhabi as a unique international tourist destination. The publications included a guide to touristic, cultural and entertainment sites, an Abu Dhabi city map, restaurants and hotels guide, as well as some brochures about the most important elements of the UAE heritage. On the other hand, the supporting units of the UAE Armed Forces participated in ADIHEX in order to strengthen communication and extend the desired synergies between the armed forces and civilians, especially the students, youth and people with special needs of the UAE. Also ADIHEX witnessed participation from the General Authority for Sport for the sixth time in a row. Their stand attracted a wide scope of visitors who came to see its information and guidance on community sports and to participate in activities based on draws, competitions, prizes and sports gifts, as well as a number of booklets and publications covering many important aspects of the authority’s work. In addition, the Judicial Department, the Environment Agency of Abu Dhabi and the Infrastructure and Coastal Protection Authority also participated in the exhibition. This is in addition to the Mohammed bin Zayed Falconry and Desert Physiognomy School which is a global educational platform to introduce the new generation to the ethics of Arab falconry. The school also supports the principles of falconry, behaviour, its ancient arts and trains young people on the principles governing falconry and the enrichment of falconry locally and globally. This year the arena has included some of the most popular activities at the exhibition such as the Parrot Shows organised by Al Ain Zoo, which is an entertaining shows that shows the birds ability to learn numbers, rope climbing skills and play basketball. There were also shows of desert raptors where the birds reveal exciting movements accompanied by an explanation of the names of these birds, whereabouts and some scientific and cultural information around them as well as their external characteristics and composition. The event also included presentations of K9 dogs, an educational presentation on polo, heritage horse shows, how to deal with horses, camel-auction, Saluki beauty contest and handicrafts and heritage weapons such as archery and swords. 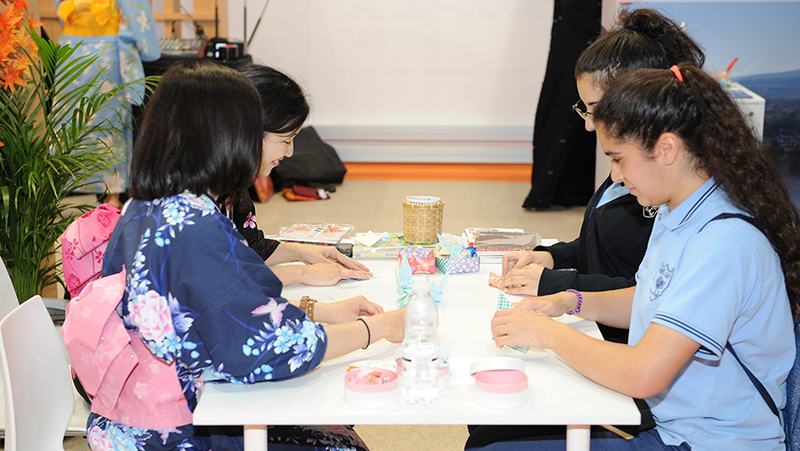 The 2018 edition of ADIHEX concentrated on kids and allocated many educational and entertainment activities for them, such as workshops and games to promote environmental awareness among children, linking them to their heritage and customs. This all took place in the Knowledge Area where there were specialized courses on Arab falconry, falcon shows, Awareness Table, educational and art workshops, equestrian skills training and a Gymkhana course for children with special needs. 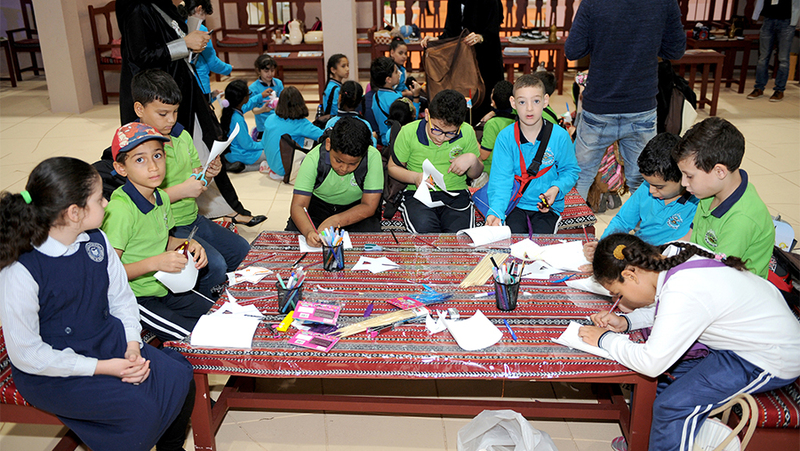 The children’s activities have been organized in collaboration with the Mohammed bin Zayed Falconry and Desert Physiognomy School, the Dhabian Equestrian Club, the International Fund for Houbara Conservation and Al Ain Zoo. 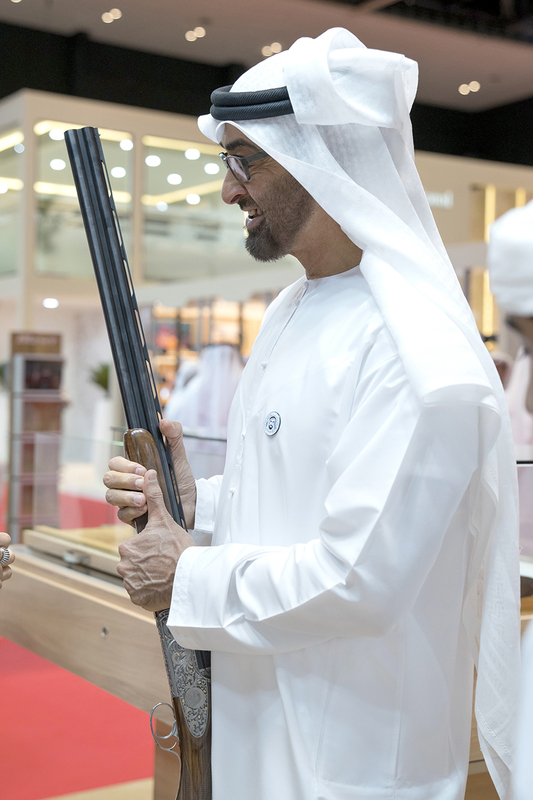 At the 16th Edition of ADIHEX arms sales amounted to over 34 million Dirhams for about 1,764 weapons purchased from exhibition stands. Brigadier Salem Hamoud Al Baloushi, Chairman of the Organising Security Committee confirmed that the sales recorded annually by the exhibition reflect the size of the public’s interest and are an indication of its success. He referred to the efforts of the staff of the Security Committee and their role in providing facilities and services to the public by allocating offices to issue certificates of good conduct, conducting technical inspection of weapons at the scene of the event and introducing requirements for purchasing weapons and documents to be brought. The event is organized by the Emirates Falconers’ Club and is supported by the Environment Agency – Abu Dhabi (EAD), International Fund for Houbara Conservation (IFHC), the Department of Culture and Tourism (DCT) and The Cultural Programs and Heritage Festivals Committee in addition to many local, regional and international media partners.